Raja said he stood vindicated as accusations that he took Rs 200 crore bribe to allocate lucrative radio wave spectrum were false. 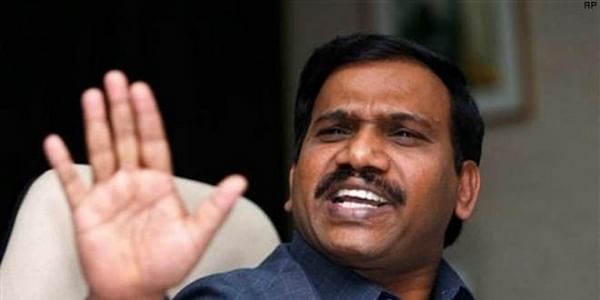 NEW DELHI: In his first comments after being acquitted in the 2G case, former Telecom Minister A. Raja on Thursday said he stood vindicated as accusations that he took Rs 200 crore bribe to allocate lucrative radio wave spectrum in 2008 were false. "I have felt somewhat vindicated all along even prior to this judgment because the beneficial results of my actions are evident to and being enjoyed by the nation's public, especially the poor," Raja said in a statement. He said as Telecom Minister, he had brought "revolution in the telecom sector" in India. "It is not unknown to history that a person who did a revolution is often termed as a criminal." Earlier, a special court here exonerated the DMK leader and all other accused of all charges of corruption in the case. Raja alleged that "vested interests manipulated public perception by leveraging the media and sensationalising fabricated allegations" against him. Raja, who was jailed for 15 months for his alleged wrongdoing, said Judge O.P. Saini had held that it was not just a case of "prosecution failing to prove its allegations but a case where the prosecution case itself was false". This, he said, "was my submission from the very first day".